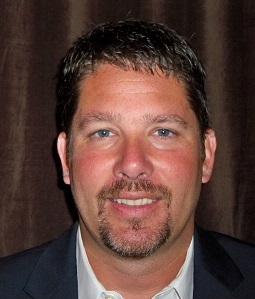 Wade Baugh is a founding speaker in the GAF Expert Value Series. He teaches contractors how practical and profitable it is to build better roofs by strictly following IRC codes and the GAF Pro Field Guide. Increasing thermal resistance requirements, labor to install rigid insulation systems and job site sequencing have creative manpower issues for most roofing contractors. Looking at alternate roof insulations like Lightweight Insulating Concrete Systems may make economic and production sense. There will be a discussion of LWIC systems and their advantages to roofing contractors. In 1992 John joined his father’s construction company, Bonitz of Georgia. He serves as the company’s CEO for this (60) sixty-year-old company. Bonitz is a specialty subcontracting company with offices in Savannah and Atlanta, GA. John Coleman was born and raised in Savannah, GA. John attended Blessed Sacrament Catholic Elementary School and Benedictine Military High School graduating in 1986. 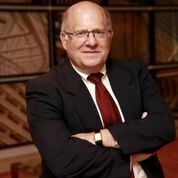 He attended Georgia Institute of Technology and the University of Georgia. John Rose is manager for Siplast Lightweight Insulating Concrete Roof Insulation Systems. His career spans 35 years in the roofing and fire protection industries. Prior to joining Siplast in 1995, he worked for W.R. Grace. He received his B.S. degree in Earth Science from Penn State University. Rose is a member of the American Concrete Institute’s Technical Committee 523 on Low Density Concretes and Technical Committee 213 on Lightweight Aggregates and Concrete. He also sits on ASTM Committee C09 for Concrete and Concrete Aggregates. He is on the board of directors of the National Roof Deck Contractors Association. RSMCA allows you direct access to the most knowledgeable legal minds in the country on roofing issues. HPSS Law has been providing legal services to the construction industry for over 35 years. Partners Philip Siegel and Stephen Phillips will be on hand to field questions from both low and steep slope contractors. Come prepared with your questions regarding construction law, roofing disputes, employment and labor law, insurance coverages, concrete decks, contracts, liens, OSHA, drug testing, employment contracts, travel pay, I-9s, E-verify, indemnification, warranties and guarantees, etc. Keeping abreast of trends in the roofing industry is critical for successful roofing contractors. From his position as the chief elected officer of the National Roofing Contractors Association, no one has their finger more on the pulse of what is going on in the roofing industry throughout the country than Nick Sabino. Nick will provide an up-to-the-minute report on what he sees from his perspective in the association and the industry at large. 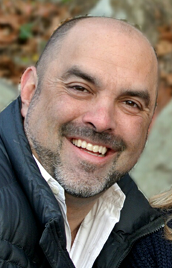 Nick Sabino is the President and Founder of Deer Park Roofing, Inc. He is a graduate of Xavier University, Cincinnati, OH with a B.S. in Mathematics. He is the Chairman of the Board at the National Roofing Contractors Association (NRCA). Nick has served on various NRCA committees and has been the Chairman of NRCA’s University Operations Committee, Workforce Solutions Committee, Residential Contractor Committee, and Young Contractor’s Committee. Nick is also a member of the International Roofing Expo (IRE) Advisory Board. Innovative approaches to transforming the public-school system into a skilled trade pipeline and connecting young people to "Craft Pro Careers". Learn how CEFGA is leveraging existing resources, state funding, legislation, industry and philanthropic support to set new precedents in reaching the next generation for our industry. 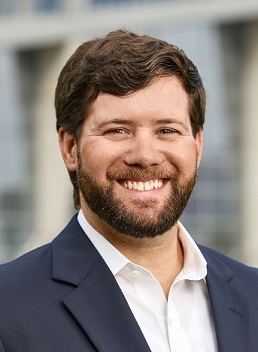 Zach Fields serves as Vice President for CEFGA and works to support over 160 skilled trade programs in Georgia’s public schools. He coordinates CEFGA’s K12 Pipeline initiative with trade associations, individual employers, philanthropic foundations, legislators, GADOE, and SkillsUSA. He is an NCCER Master Trainer and serves on boards for the Georgia Association for Career and Technical Education (GACTE) and the Trade and Industrial Educators of GA (TIEGA) as well as CTAE Advisory Boards for the GA Department of Education and multiple school systems. Combat-wounded Staff Sergeant (Ret.) Johnny “Joey” Jones turned a traumatic, life-changing disability into a personal mission to improve the lives of all veterans. Now serving as the spokesperson and Chief Operating Officer for the national nonprofit Boot Campaign, Jones is key to educating the civilian public and corporate America on issues concerning veterans and their families in a nonpartisan, inspiring way. Known to his friends as “Triple J,” Joey Jones was raised in Dalton, Georgia and enlisted in the Marine Corps after high school. During his eight years of service, he worked as an Explosive Ordinance Disposal (bomb) Technician, deploying to both Iraq and Afghanistan on three combat tours. It was during his last deployment to Afghanistan when he stepped on and initiated an IED, resulting in the loss of both of his legs above the knee and severe damage to his right forearm and both wrists. He then spent two grueling years in recovery at Walter Reed National Military Medical Center in Washington, D.C.